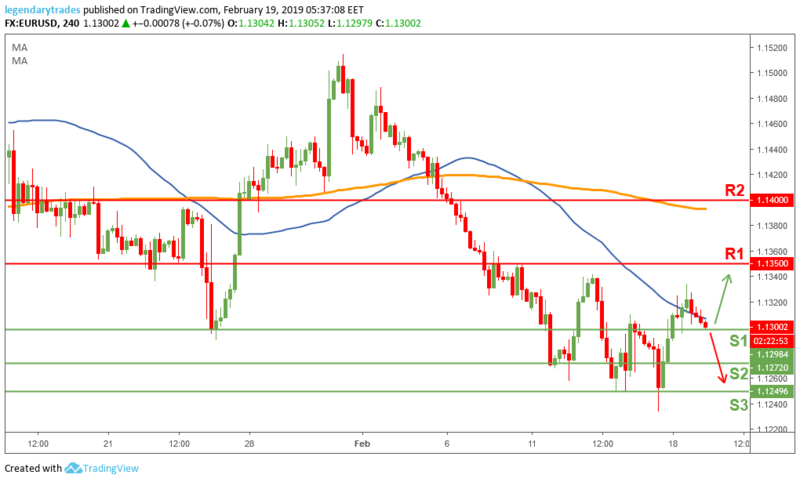 The Euro peaked at 1.1333 on Monday before falling back towards 1.1300 amid the poor performance of European indices and dovish comments from ECB officials echoing Benoit Coeure's statement last week about increasing stimulus if the eurozone's economic situation deteriorates further. Looking ahead, Germany and EU will release the ZEW survey on economic sentiment today, both seen improving modestly in February. The EU will release some minor December figures, including the Current Account and Construction Output which usually have a limited effect on the Single currency.